Please support the 2018 Turkey Brigade! 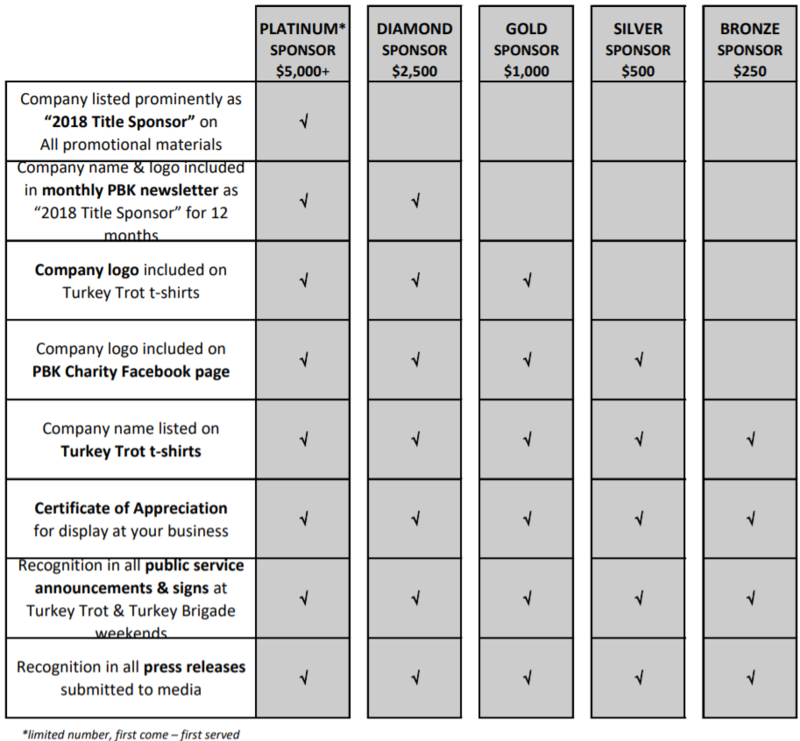 Please see sponsor-levels (below) for what is included with each donation. 100% of all donations and proceeds go directly to the Personal Best Charity, a 501c3 corporation. We also gratefully accept raffle and silent auction items (i.e. gift certificates, gift baskets, movie tickets, sports tickets, etc.). Please download the 2018-sponsor-form and submit with payment. Your generosity will make an incredible difference to so many children and families who would go without the normalcy and tradition of a Thanksgiving meal. Your support will help us change lives and build communities.